Coşkun is the Managing Partner of Arthur D. Little’s Istanbul Office. 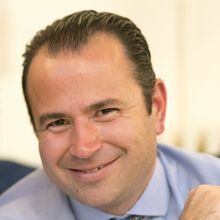 He has 20 years of consulting experience, focusing on corporate strategy development, business planning and turnaround projects with leading automotive, telecommunication, media and finance players in Greece, Spain, Turkey and the Middle East. Since joining Arthur D. Little in 2016, Coskun has supported leading conglomerates across multiple strategic fronts, such as growth-strategy formulation, efficiency enhancement, regulatory strategies & market analysis and commercial excellence. Before joining Arthur D. Little, he had co-established and was responsible for leading Value Partners Management Consulting’s Istanbul Office. He began his career as business analyst at Accenture, where he spent about 10 years and left the firm as Senior Engagement Manager. Besides his consulting career, Coskun is passionate about demanding sports such as water polo, sailing, skiing and scuba diving.